Frost is churning out a small army of new rovers for this year’s FebRovery challenge. He’s posted a new one each day this month and will, presumably, have created twenty-nine of them by the time FebRovery is over and done with. So far, his rovers have spanned several building styles and themes. 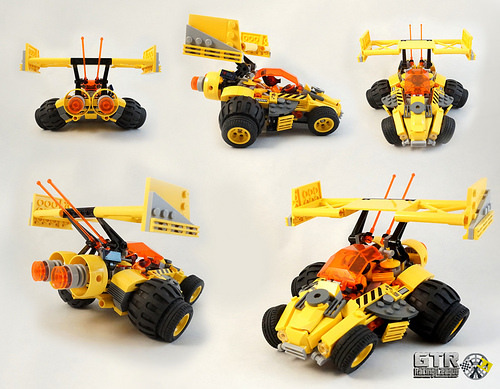 His most recent build is a race rover with beautiful angles and a very impressive spoiler. Frost’s other builds include forklift-style loading rover, several construction-themed rovers, and my favorite, a shark-controlled survey rover Check out all his rovers on Flickr.